Step up from the base model to the Premium model and unlike some other crossovers, you can get extras like heated seats and mirrors. But top gear like Harman Kardon audio is off the table for those who truly want to shift themselves. The sharp-looking 2014 Subaru Forester gets a lot more comfortable inside, and offers some useful driving aids and safety electronics. We'll keep this brief: The 2014 Subaru Forester is one of the safest, most versatile vehicles you can buy today, which is why it's The Car Connection's Best Car To Buy 2014. Yes, we know it's a crossover, not technically a car, but the Forester does such a convincing job of behaving like a car, we're letting the technicalities slide. It's the perfect tool for weekend warriors; a capable all-weather commuter; a family wagon par excellence; and a vehicle so well-endowed with crash-test goodness, it was called out specifically by the folks who crash-test cars for a living. 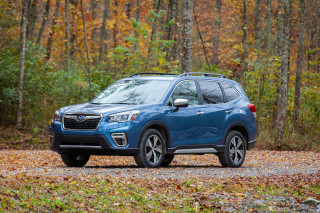 To keep in pace with families yet in touch with the rugged side, and keep the balance right on what’s already a very successful vehicle (about a quarter of the brand’s U.S. sales), Subaru has taken an “evolution, not revolution” approach with the completely redesigned 2014 Forester. Priorities included better fuel economy, improved drivability and usability, and to retain (and improve) the Forester’s rugged all-wheel-drive advantage. Appearance-wise with this fourth-generation Forester, Subaru looks to have kept the modus operandi, but especially finessed the design. The 2014 Subaru Forester is roughly the same size as the outgoing model on the outside (it’s a little taller, with a wheelbase that’s only an inch longer), but it inherits some of the themes and design details seen in last year’s redesign of the Impreza lineup—including the crisp new grille design and smoothly sculpted side sheetmetal that flows into taillamps that are ‘pinched’—for appearance, and for aerodynamics. A somewhat taller hoodline and a more chiseled look in front give it more of an SUV look, although Turbo models get a more aggressive, technical-looking lower airdam (and the hood scoop is gone). Behind the driver’s wheel, the new Forester is no revelation, but it still feels a little more athletic than most models in this class, while making major gains in gas mileage. The base powerplant—included in all 2.5i models—remains the same 170-horsepower, 2.5-liter horizontally opposed ‘flat’ four-cylinder engine that was first introduced on the Forester last year, but a new 2.0-liter flat four in 2.0XT models has direct injection and turbocharging and produces a stout 250 horsepower and 258 pound-feet at 2,000 rpm (on premium gas). 2.5i models can be had with either a six-speed manual gearbox (our pick with this base engine) or a continuously variable automatic transmission (CVT), while the 2.0XT comes only with the CVT. XT turbo models get a special version of the CVT, though, that can simulate an eight-speed automatic transmission when wanted. A stiffer body structure and a completely reengineered suspension otherwise put the Forester close to the head of the class with respect to ride and handling. Steering is nicely weighted, and body control is as in-check as you'll find from such a tall, spacious utility vehicle. 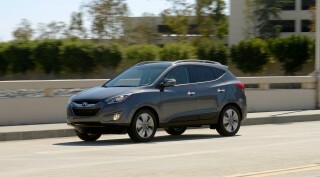 2.5i are adequate, EPA fuel economy ratings range up to 32 mpg highway with the CVT. 2.0XT models are quite a bit quicker overall, yet they return a 25 mpg Combined rating that Subaru says is best in class. 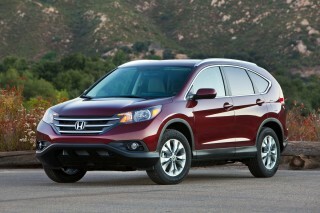 Several things—in addition to the extra power—contribute to a sportier driving experience in the 2.0XT. One of them is SI-Drive. Essentially the same system that Subaru’s used in some of its sporty models in the past, it offers three modes—Intelligent (I), Sport (S), and Sport Sharp (S#)—that tweak the way the accelerator and powertrain respond. There's also the the transmission's eight-speed mode (only in S#), paddle shifters (only in the XT), and XT-exclusive suspension components, as well as a completely different performance calibration. The Forester retains all of its rugged trail prowess, including 8.7 inches of ground clearance and some approach and departure angles that even off-road purists wouldn’t be quick to dismiss. But perhaps inspired by systems such as Land Rover’s Terrain Response, Subaru has added something called X-Mode. When engaged at low speeds, it electronically manages torque from left to right, supplementing the AWD system’s front-to-back distribution, and it automatically deploys Hill Descent Control at low speeds. While the 2014 Forester is about the same size as before on the outside, the automaker has applied some packaging smarts with the interior, rejiggering the seating position and interior appointments into what feels like (and is) a roomier vehicle. This Forester feels completely different from the outgoing model from the driver’s seat; much of that’s because the entire instrument panel has been pushed forward nearly five inches from the seating position, while the seats themselves have been raised slightly, for a ‘hip point’ that’s more than an inch higher than before, and they’re also slightly farther apart. There's more rear legroom, plus about 12 percent more cargo space, and rear seatback folding that’s close to fully flat with a one-touch mechanism. There’s also a much greater sense of detailing and refinement inside. Materials—everything from upholsteries to door trim—are a solid step up from before, and Subaru has added more insulation both to the door panels and to the area just ahead of the instrument panel. All models now get a fold-down center armrest, and solid-looking cupholders have been moved there instead of at the back of the center console (in turn, the center console now longer extends as far back, to give the center occupant a little more space. Available active-safety features in the Forester include adaptive cruise control (ACC), running at speeds from 25 mph up to 90 mph, while the Forester gets the EyeSight system for spotting road hazards with a camera-based system, up to 80 meters ahead, and potentially avoiding an accident by braking at up to 0.4g. Instruments and displays in the Forester are new, and most models in the lineup get a color multi-information display that shows audio and trip information, the rear-camera view when backing up, and off-road-relevant info when in X-Mode. Even the base 2.5i model has a 4.3-inch LCD display for outside temp and trip-computer functions and now comes with Bluetooth hands-free calling and audio streaming. With the Limited model, the CVT is mandatory but you get perforated leather seats, a leather-wrapped steering wheel and shift knob, fog lamps, automatic climate control, a power rear liftgate, and an upgraded instrument cluster. Top Touring models, you get eight Harmon Kardon speakers and a 440-watt amp, along with full integration of Aha streaming audio, through an app for iPhone or Android handsets, but the touch-screen interface can be frustrating. 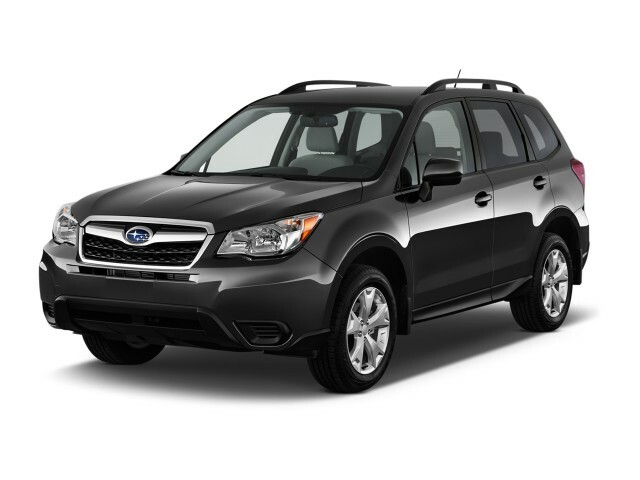 The 2014 Subaru Forester gets an improved feature set throughout the model line. And several new features, including a rear-vision camera, multi-function display, power rear liftgate, and EyeSight active-safety systems, are now offered on much of the lineup. 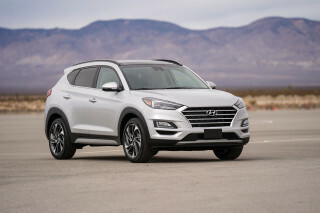 It's also the only model in its class to earn a top 'good' rating in that test, and only one of two in its class to earn the new Top Safety Pick+ accolade--although in new federal tests it hasn't quite pulled off a sweep (it earns four of five stars in frontal impact). It moves forward with a good value proposition, too. With prices up only modestly (about $700) on the base model and not significantly changed at the top of the lineup—plus prices that more or less line up with front-wheel-drive rival models—you definitely get more value for 2014. With a completely new look inside and out that borrows cues from the Impreza’s recent redesign, the 2014 Subaru Forester is sportier and more handsome throughout. The shape of the 2014 Subaru Forester is familiar—and its size is essentially the same as the outgoing version—but much has changed in the details. Overall, the look is a little less rugged, a little more contemporary. On the outside, it inherits some of the themes and design details seen in last year’s redesign of the Impreza lineup—including the crisp new grille design and smoothly sculpted side sheetmetal that flows into taillamps that are ‘pinched’—for appearance, and for aerodynamics. The Forester avoids the heavily creased sheetmetal that's becoming quite common among crossovers, instead showing up with modestly flared fenders and a soft beltline that develops just behind the front fenders and tucks nearly into the rear lamps. And in front, Subaru's winged grille and lamps stretch outward and farther back than they did before—a little higher, too. 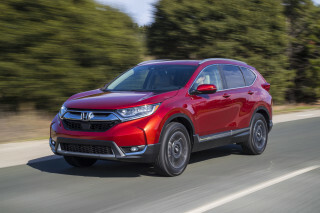 On both models, the lower airdams are more finely detailed than they were previously, and a somewhat taller hoodline and a more chiseled look in front give it more of an SUV look. Turbo models get a more aggressive, technical-looking lower airdam. Some are going to mourn the loss of the aggressive hood scoop in XT turbo models, but engineers couldn’t ignore the advantages to moving it under the hood; the look is smoother and more sophisticated, too. Inside, the instrument panel has been completely redesigned and pushed five inches forward and slightly downward—with the low-set dash updated to the same relatively simple layout that's been given to the Legacy, Outback, and Impreza. A center stack of controls flows from a new multi-information screen down to climate and audio controls and a center console with cupholders, storage, and an armrest. And throughout the interior, the materials have been upgraded, with a mix of matte and soft-touch materials accented with matte-metallics. With expanded off-road prowess and in 2.0XT models, lively turbocharged performance, the 2014 Forester caters better than ever to those who want both ruggedness and responsive street performance. From the driver's seat, the new Forester is no revelation, but it still feels a little more athletic than most models in this class, while making major gains in gas mileage. And if you go for the 2.0XT model, you get a turbocharged engine and some other enthusiast-oriented upgrades that altogether offer more on-road driving fun without sacrificing this model's rugged, all-weather capabilities. The base powerplant—included in all 2.5i models—remains the same 170-horsepower, 2.5-liter horizontally opposed ‘flat’ four-cylinder engine that was first introduced on the Forester last year, but a new 2.0-liter flat four in 2.0XT models has direct injection and turbocharging and produces a stout 250 horsepower and 258 pound-feet at 2,000 rpm (on premium gas). 2.5i models can be had with either a six-speed manual gearbox or a continuously variable automatic transmission (CVT), while the 2.0XT comes only with the CVT. Additionally, a stiffer body structure and a completely reengineered suspension otherwise put the Forester close to the head of the class with respect to ride and handling. We found the new Forester to have especially good body control, as well as very well-tuned and nicely weighted rack-mounted electric power-steering. 2.5i models aren’t quick, but they’re adequate. Meanwhile, 2.0XT models help make the most of the Forester’s capable chassis. 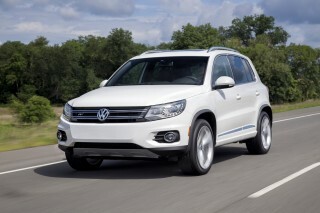 Several things—in addition to the extra power—contribute to a sportier driving experience in the 2.0XT. One of them is SI-Drive. Essentially the same system that Subaru’s used in some of its sporty models in the past, it offers three modes—Intelligent (I), Sport (S), and Sport Sharp (S#)—that tweak the way the accelerator and powertrain respond. Sport Sharp enables a transformation in the 2.0XT's CVT—essentially making it 'pretend' it's an eight-speed automatic transmission, with relatively snappy shifts and manual control via steering-wheel paddle-shifters (which are omitted on 2.5i models). In Intelligent or Sport, there are instead six simulated 'gears' available by using the paddle-shifters. If you want to go with the greater performance of the XT, we think the CVT is quite livable and unobtrusive, and the simulated eight-speed mode really redeems it (although it can’t quite nail the downshifts quickly and make them smooth). If you’re going for the standard 2.5i model, the CVT will be just fine for most people, but our favorite remains the six-speed manual. The shift linkage is a little sloppy and the throws are long, but it’s the way to get the most power out of the torquey boxer engine—and the mechanical-split all-wheel drive system makes the Forester a little more fun, as well as a little more predictable in an enthusiast sense, whenever traction gets scarce. The Forester retains all of its rugged trail prowess, including 8.7 inches of ground clearance and some approach and departure angles that even off-road purists wouldn’t be quick to dismiss. But perhaps inspired by systems such as Land Rover’s Terrain Response, Subaru has added something called X Mode. 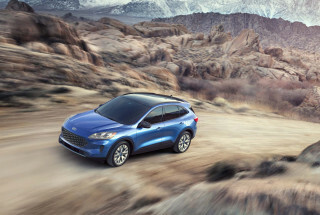 When engaged at low speeds, it electronically manages torque from left to right, supplementing the AWD system’s front-to-back distribution, and it automatically deploys Hill Descent Control at low speeds. Reconfigured seating and cabin space makes the 2014 Forester one of the more comfortable vehicles in its class, while more sound insulation and improved materials bring a more upscale look and feel. While the 2014 Forester is about the same size as before on the outside, the automaker has applied some packaging smarts with the interior, rejiggering the seating position and interior appointments into what feels like (and is) a roomier vehicle. At the same time, it's also one that's designed to provide a ride that's surprisingly refined, considering its toughness, and enough cargo capability for weekend outdoor gear. This Forester feels completely different from the outgoing model from the driver’s seat; much of that’s because the entire instrument panel has been pushed forward nearly five inches from the seating position, while the seats themselves have been raised slightly, for a ‘hip point’ that’s more than an inch higher than before, and they’re also slightly farther apart. The floor and side sills were also lowered slightly, while the front seats get a wider range of adjustability; meanwhile, repositioning of the rear seats together with that allows an inch greater distance between the front and rear seats—that’s more rear legroom—and rear seatback folding that’s close to fully flat with a one-touch mechanism. 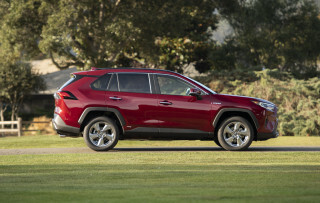 There’s 12 percent more cargo space, too. The seats themselves will be fine for most drivers and passengers, but those on the tall and slim side are going to find the front seats both too short and flat in their lower cushions, as well as lacking in side bolstering. In XT (turbo) models it's especially lacking, as there's no sport-seat option. The repositioned back seats, however, feel not only easier to get into than in the previous version, but more comfortable, with a subtle contouring that should help comfort on longer trips; and all but the base model get three-position recline for the (60/40-split) rear seatbacks. There’s also a much greater sense of detailing and refinement inside. Materials—everything from upholsteries to door trim—are a solid step up from before, and Subaru has added more insulation both to the door panels and to the area just ahead of the instrument panel—altogether making a big difference in keeping the cabin quiet on rough surfaces. All models now get a fold-down center armrest, and solid-looking cupholders have been moved there instead of at the back of the center console (in turn, the center console now longer extends as far back, to give the center occupant a little more space. With the center driveshaft tunnel lowered by an inch, there's a little more foot space, too. With a stronger, stiffer body structure, plus active-safety features like EyeSight and expanded off-road safety with X Mode -- plus the best crash-test ratings in its class -- the 2014 Forester has both great passive and active safety. The IIHS called it the best-performing vehicle yet, at the time that it was run in the agency's new small overlap frontal test. It's the only model in its class to earn a top 'good' rating in that test, and only one of two in its class to earn the new Top Safety Pick+ accolade. It does very well in federal tests, too, earning five stars overall--though due to its four-star frontal result it doesn't quite pull off a perfect sweep. Subaru claims to have reinforced its structure in many key places to give the '14 Forester even better occupant protection. Available active-safety features in the Forester will now include adaptive cruise control (ACC), running at speeds from 25 mph up to 90 mph, while the Forester gets the EyeSight system for spotting road hazards with a camera-based system, up to 80 meters ahead, and potentially avoiding an accident by braking at up to 0.4g. Furthermore, in X-Mode, Hill Descent Control automatically deploys to keep speeds slow and safe down steep, slippery slopes. Visibility is also a step ahead of both the previous Forester and most other compact crossovers, because of two changes: Subaru moved the A-pillars forward a bit, then moved the side mirrors back from the pillars and added a small partitioned front windows ahead of the window glass. Bringing the hoodline down in XT Turbo models (where there used to be a big air scoop) also helps. With a number of firsts, like Adaptive Cruise Control, a power tailgate, and Harmon Kardon premium audio, yet no big increase in prices, there's more value in the lineup. But the premium touch-screen interface leaves a lot to be desired. 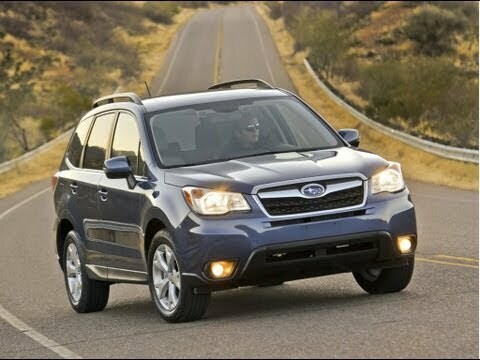 Along with its complete redesign, the 2014 Subaru Forester gets an improved feature set throughout the model line. And several new features, including a rear-vision camera, multi-function display, power rear liftgate, and EyeSight active-safety systems, are now offered on much of the lineup. And with prices up only modestly (about $700) on the base model and not significantly changed at the top of the lineup—plus prices that more or less line up with front-wheel-drive rival models—you definitely get more value for 2014. Instruments and displays in the Forester are new, and most models in the lineup get a color multi-information display that shows audio and trip information, the rear-camera view when backing up, and off-road-relevant info when in X-Mode. Even the base 2.5i model has a 4.3-inch LCD display for outside temp and trip-computer functions, along with Bluetooth hands-free connectivity and Bluetooth audio streaming, steering-wheel audio controls, a tilt/telescopic steering wheel, Incline Start Assist, and a security system with immobilizer. Premium and Limited models come with a six-speaker system that includes HD Radio plus connectivity for Bluetooth audio streaming, smartphones, and media players like the iPod. Upgrade to the navigation system that's included in the top Touring model (and optional in the Premium and Limited) and you get a larger 6.1-inch touch screen, voice-activated controls, and Aha smartphone integration, plus iTunes tagging, SMS text messaging, XM Satellite Radio, and XM NavTraffic. On Touring models, it includes eight Harmon Kardon speakers and a 440-watt amp. The premium system also has full integration of Aha streaming audio, through an app for iPhone or Android handsets. Unfortunately, interfaces for the audio systems are sore points. The base sound system has a limited number of characters with which to figure out media that's being played, while the touch-screen audio system in higher trims has a confusing menu system; and doing simple, common things such as tuning or seeking for the radio requires looking to the screen and finding a small 'button' on the touch screen—which is somewhat sensitive to reflections in bright light. Likewise, there's no way to display the list of satellite radio stations. And that SD slot that's front and center? It's not for media files; it instead needs to be filled with a map-data card at all times, otherwise the nav won't work. Premium models come in two flavors. Opt for the manual transmission and you get heated front seats, heated mirrors, and a windshield wiper de-icer, while with the CVT is includes a panoramic power moonroof (with those winter items as an option package). In either case, they include 17-inch alloy wheels, a power driver's seat, a rear camera system, tinted rear glass, and an upgraded multi-function display. With the Limited model, the CVT is mandatory but you get perforated leather seats, a leather-wrapped steering wheel and shift knob, fog lamps, automatic climate control, a power rear liftgate, and an upgraded instrument cluster. The available power hatch can be operated manually with low effort, or be configured to open short of a low garage ceiling. 2014 Subaru Forester 2.5i models get up to 32 mpg on the highway, while Subaru says that 2.0XT (Turbo) models, at 25 mpg Combined, are more fuel-efficient than other competing top-level compact crossovers. With its new-generation horizontally opposed four-cylinder engines, combined with the fitment of the latest Lineartronic continuously variable automatic transmission (CVT) in place of the former four-speed automatics, Subaru has managed to improve both gas mileage and performance. 2.5i models with the CVT now boast EPA fuel economy ratings of up to 32 mpg highway; and thanks to direct injection in 2.0XT models, they now return an EPA Combined rating (best in class for a step-up performance model, according to Subaru) of 25 mpg. Subaru stays true to the philosphy of 'form follows function'. There is nothing unnecessary or overly sophisticated about the vehicle. I did in-depth research; owned a 2004 Forester for 10 years before moving... Subaru stays true to the philosphy of 'form follows function'. Love ho his vehicle performs and handles. Knew it was for me as son as I got in and drove it. great vehicle, need more comfortable seats. Tremendous performance from this small 4 cylinder boxer, they got this right, could be more plush. I love my 2014 Subaru 2.0 XT Touring! We have every option available. The car is great, and our dealer we have is great. The car could be more plush, but I have back issues and I can take long drives and it is... I love my 2014 Subaru 2.0 XT Touring! We have every option available. The car is great, and our dealer we have is great. The car could be more plush, but I have back issues and I can take long drives and it is supportive and comfortable, highly utilitarian! I would also like the electric steering to be a bit tighter, .and give more feedback, or at least adjustable by the dealer. Unlike VW Subaru does not make changes to factory defaults in programming and will not adjust this. The 4 wheel drive system works flawlessly in the deep snow we got on the east coat the past 2 years , it made a small SUV feel like a big one, we never got stuck in the deep stuff, and that was with plain old all season tires. Unlike the other cars we first looked at the 4 wheel drive works all the time, it is not a front wheel drive car that shifts power to the rear wheels as it senses slip, and it made a difference. The engine is the big winner here it has loads of smooth power, and the CVT is nothing like older generation CVT transmissions. Give this to someone, put earphones on them, and ask them how many cylinders this car has and I am sure that the answer you will get a minimum of 6 and many people will say an 8. On long trips I get 30 MPGs. It has the first generation eyesight and adaptive cruise control. It works well overall; they have 1 particular quirk to work out, which they may have in the 2015 model year. Other than bug with the eyesight we have not have an issue with the car in almost 2 years and still are in love with it, with the honeymoon period long over! 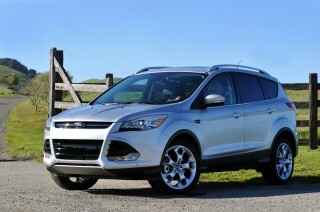 Best small SUV on the market! I have the 2014 Forester XT. Has plenty of power, the CVT transmission is excellent, good handling. Very stable, sure-footed in wet weather and in snow. Some wind noise. Excellent Bose sound system, but audio... I have the 2014 Forester XT. 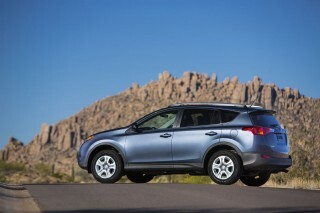 Has plenty of power, the CVT transmission is excellent, good handling. Very stable, sure-footed in wet weather and in snow. Some wind noise. Excellent Bose sound system, but audio interface a bit clunky and dated. Would definitely buy again in the XT version because of its performance. I've had my 2014 Forester 2.5i Premium for 20 months and have 79,000 miles on it. Runs great, is unstoppable in bad weather and haven't had any problems with it. I love it. Great car. Unstoppable in winter with winter tires. The ride is a little rough and the heater could be better. But I just love driving it.